These stylish frames for men are all about masculinity. Show off your sharp look with these frames and you'll never have to explain your taste in fashion again! Metal glasses are all the rage and eye fashion has done a 360, meaning metal Versace VE1241 frames are hot. 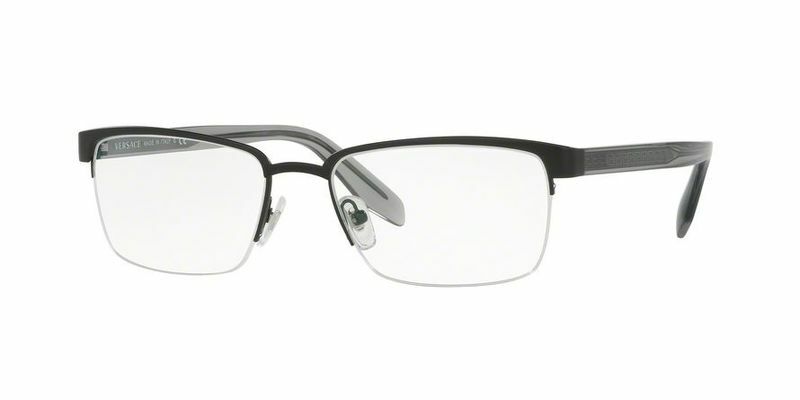 Comfort and style is key when choosing the right frames for your face, and this is exactly what you'll get with these quality metal frames. You were born to stand out, and this is what you'll do with these rectangular Versace VE1241 frames, which are perfect for rounder or oval faces. Their soft rounded edge is subtle, which helps to soften the face and accentuate your best features (your eyes) at the same time.